Do you sell Swim Diapers & Covers? They are sold in Ruby’s Tubes which is inside the entrance to Lagoon A Beach. It is $1.00 for the diaper & $1.00 for reusable cover. Are you allowed to bring your own tube into Lagoon A Beach? 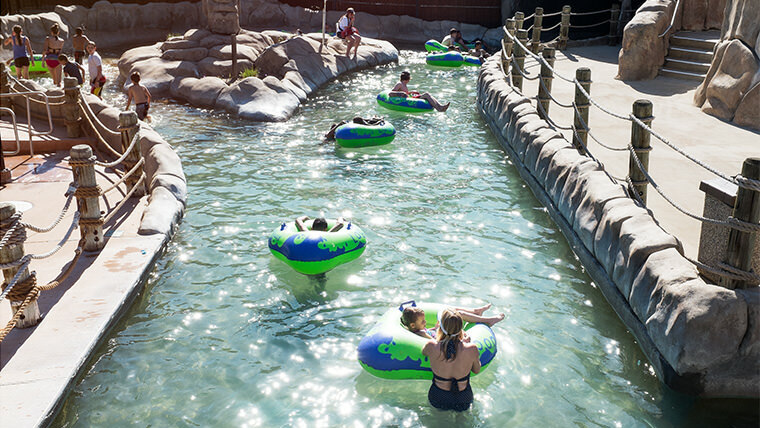 You are allowed to use your own tube in Mooches Main Stream (the Lazy River). They are not allowed in the pool or on any of the slides. Fancy a trip to the beach? 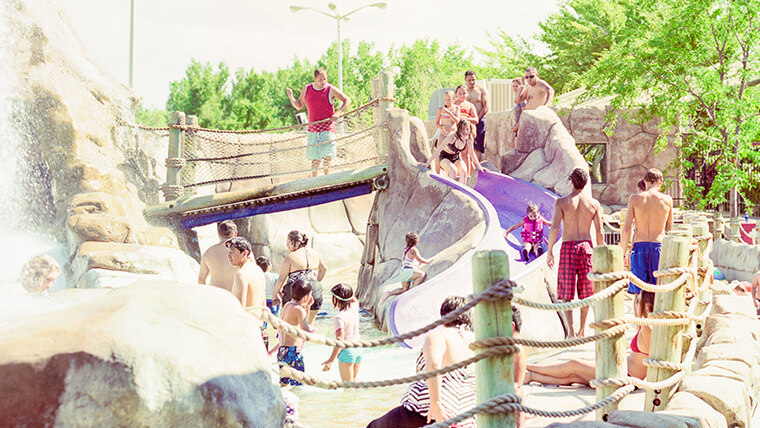 Then head to the ultimate aquatic playground — Utah’s supreme surf-and-slide water park, Lagoon A Beach! Beat the heat in the Beach’s six acres of surging slides, twisting hydro tubes, crystal waterfalls, bubbling fountains and summer swimming. 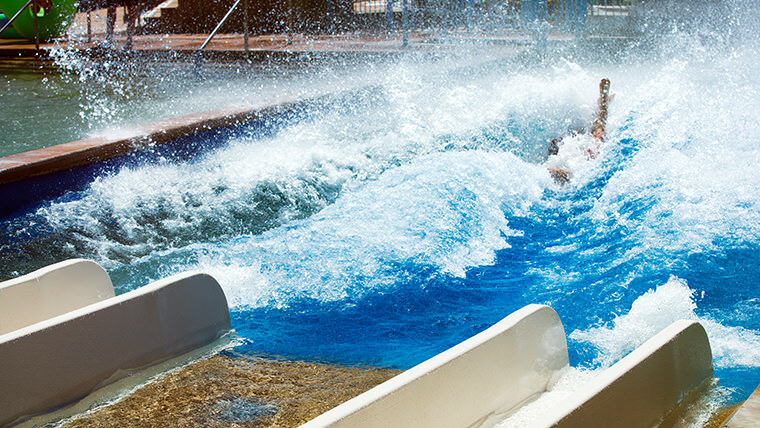 Ride a jet stream of water 65 feet down through four twisting, turning, totally enclosed tubes. Plummet nearly 70 feet on a thin cushion of liquid lightning, splashing to a stop like a human tidal wave. Run the rapids on a river tube for a heart-pumping, white-water experience. Splash and play in our lazy river, surrounded by sparkling waterfalls, exotic tunnels, tropical lagoons and a castaway island of fun just for kids. $5 After returning the tube, guests will receive a coupon for a free 21oz. soft drink or bottled water. $2 Season Pass Holders ** * Lagoon A Beach rented tubes are the only approved tubes allowed on slides. ** Season Passport photo ID card must be left as deposit. * Weather and other factors permitting.